Here are ASUS VivoBook S14 S410UN-NS74 drivers for Windows 10 64 bit you can download and install to get your laptop work properly. 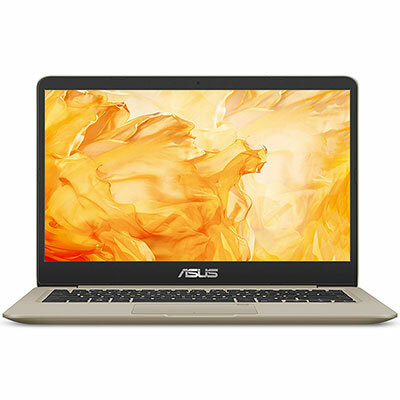 The ASUS VivoBook S14 S410UN-NS74 is 14.0-inches laptop powered by 8th Generation Intel Core i7-8550U (Turbo up to 4.0GHz) quad-core processor and dedicated NVIDIA GeForce MX150 graphics 2GB VRAM. This ASUS notebook comes with 8GB DDR4 RAM and 256GB SSD for fast storage. It features Type C USB3.0 (USB3.1 GEN1), HDMI port, Type A USB3.0 (USB3.1 GEN1), Illuminated Chiclet Keyboard, VGA webcam, 802.11 AC (2x2) Wi-Fi, Built-in Bluetooth V4.2, Fingerprint Reader, micro SDXC card reader, and 3 Cells 42 Whrs battery.